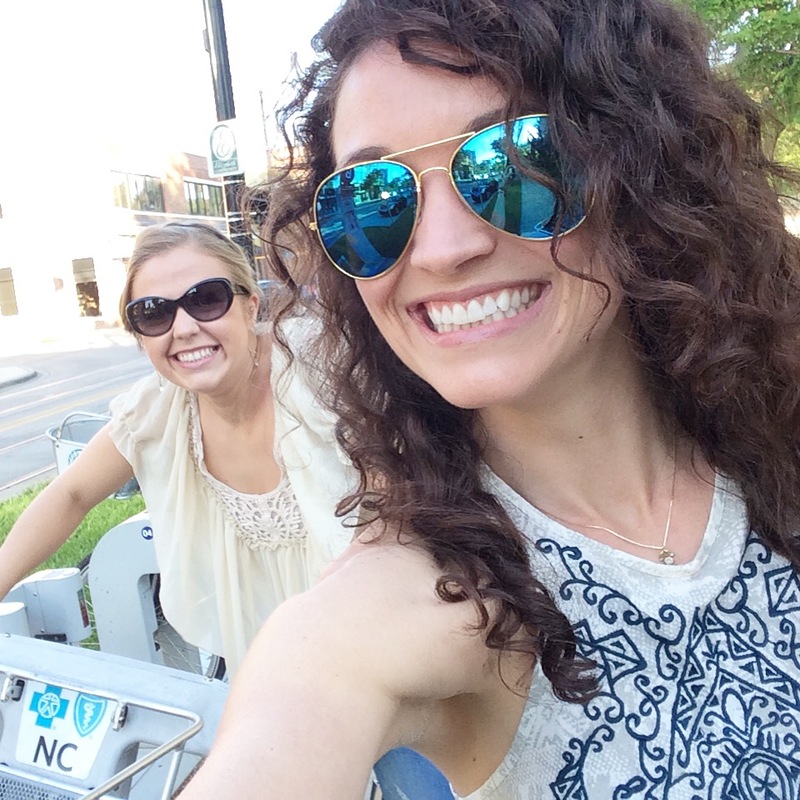 B-cycle rolled out its bike-sharing program in Charlotte three years ago, and I think it’s an excellent addition to the city. If you’re still not so sure about the logistics behind sharing bikes with a bunch of strangers, here’s a run down on how it all works. 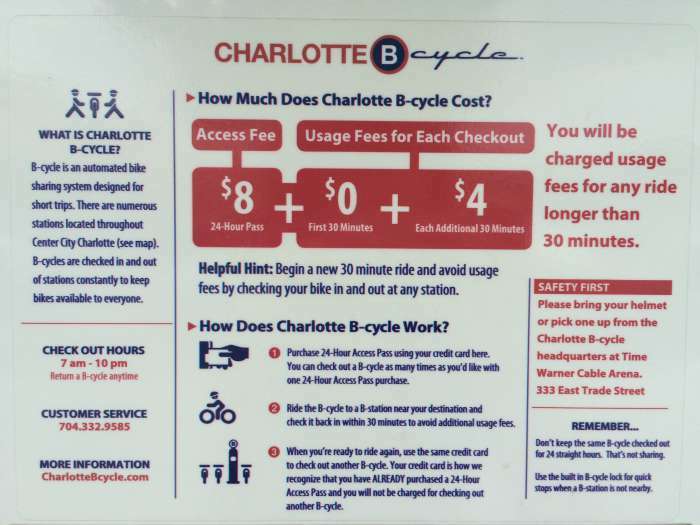 B-cycle does an excellent job of clearly laying all of this out on their website, but if you’re at the bike station and ready to ride, you might not be able to access it. So here’s what to know before you go. 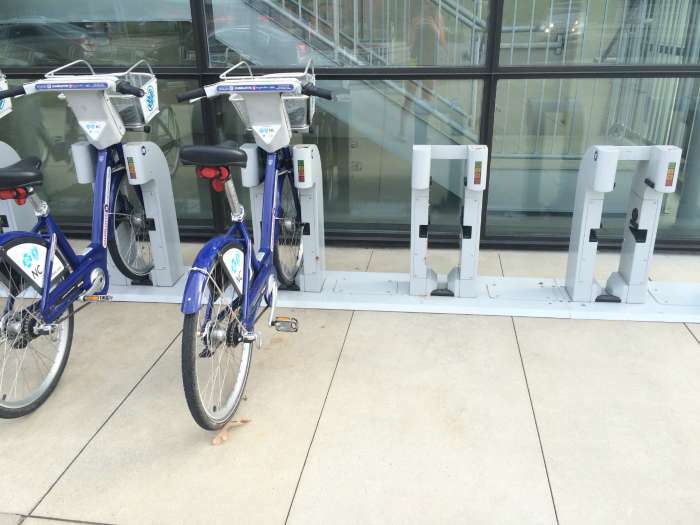 There are two options for B-cycle rentals: 24-hour day pass ($8) or annual membership ($65, $15 for students). Note that the annual membership can only be purchased online or over the phone. 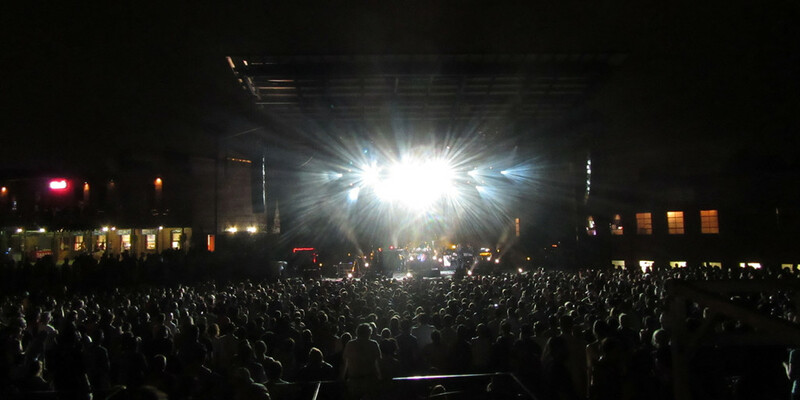 Day passes can be purchased with a debit/credit card at any of the racks. 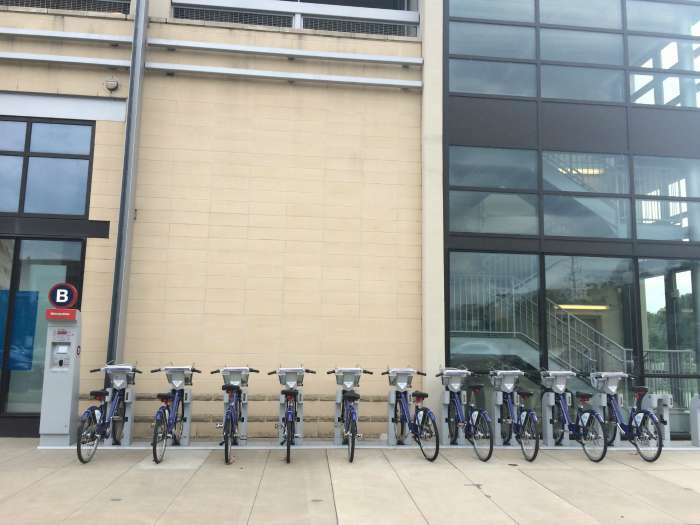 You can only check out bikes between 7a-10p, but they can be returned to a rack any time. 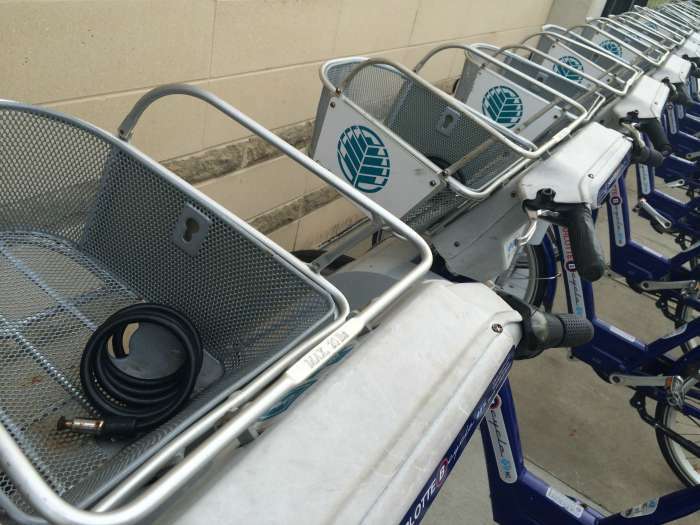 HERE’S THE BIG CATCH ON USE: You can only check the bikes out in 30-minute increments (1 hour for annual membership cardholders) or you’ll be charged an additional usage fee of $4 every 30 minutes (1 hour for annual membership cardholders). Why the time cap? The simple answer is because it’s a bike share program. If you check out a bike and keep it with you the entire 24 hours, that’s not really sharing. On a logistical note, it also prevents people from getting too far away with the bikes. If you need your bike for longer than 30 minutes, you can always re-dock and then immediately check another one out. There’s no cap on how many times you can check a bike out. You check out a bike by following the prompts at the pay station. A green light will indicate your bike is ready. 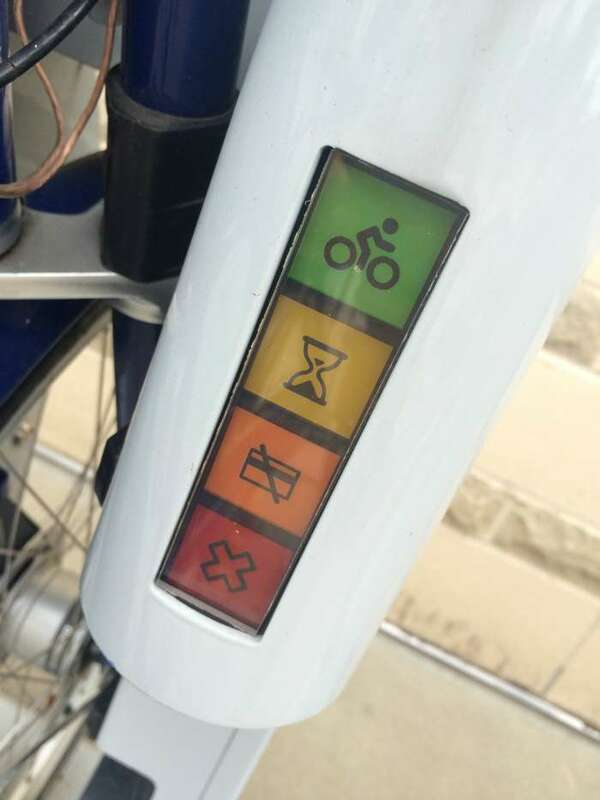 Other indicator lights: yellow means wait, orange signifies there is something amiss with your membership and you need to call customer service, and a red x means there is something wrong with that bike or stall and you should choose a different dock. When a bike is properly returned, the green light will flash three times and the dock will lock. What do you do if all the stalls at a station are full when you try to return your bike? 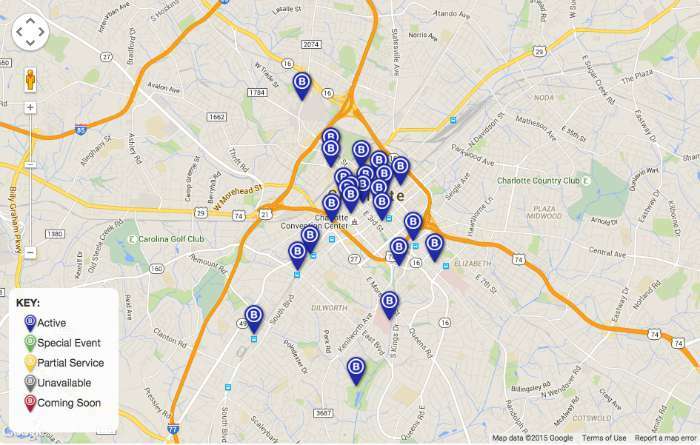 The kiosk at each station will provide real-time information on rack availability at nearby stations. 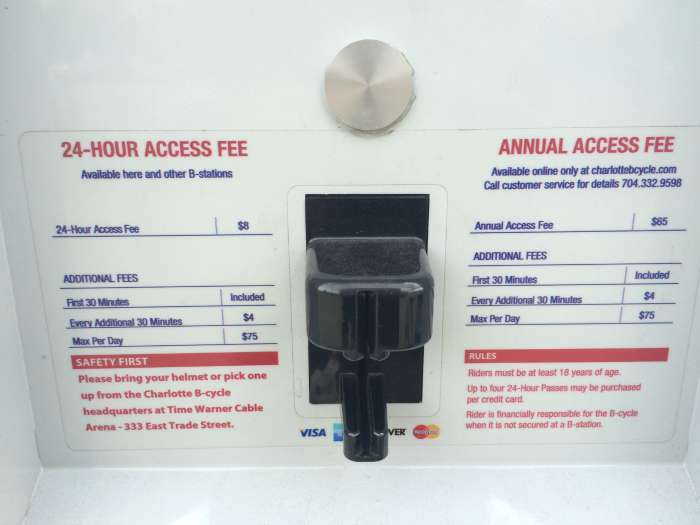 If the clock on your 30 minutes is almost up and the station is full, just insert your membership card or credit card for an extra 15 minutes to avoid a $4 overage fee. For you: wear a helmet. Legally, you can ride without a helmet but B-cycle strongly recommends wearing one. Annual members can pick one up for free at the B-cycle headquarters at 333 E. Trade Street. For the bike: lock it up with the attached bike lock if you stop somewhere other than at a B-cycle rack. 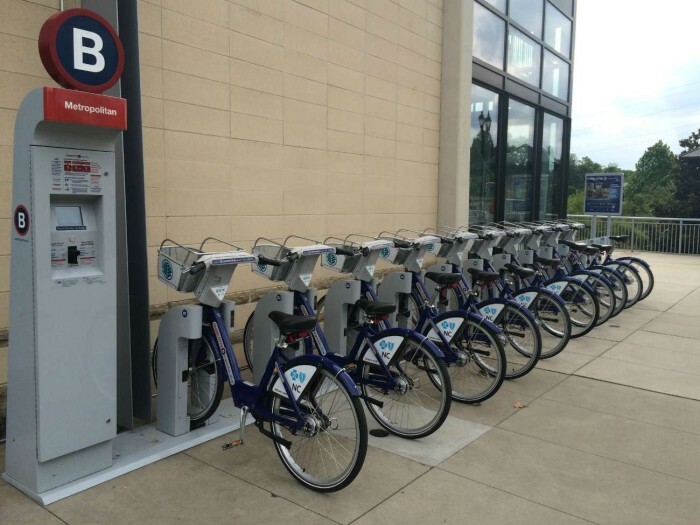 There are 200 blue bikes at 24 B-cycle stations in Charlotte, and you don’t have to return your bike to the same rack. Just return it to a new location along your route.